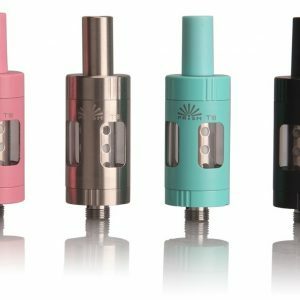 The all-new Nautilus Mini from Aspire. Aspire have taken all the features of one of the best electronic cigarette clearomizers ever, and packed it into this miniature beast. The same great performance and style, only smaller. 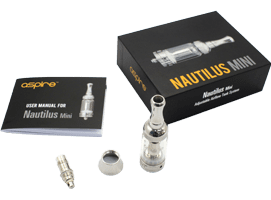 The all-new Nautilus Mini from Aspire. Aspire have taken all the features of one of the best electronic cigarette clearomizers ever, and packed it into this miniature beast. The same great performance and style, only smaller. NOTE: Due to the large o-ring on the base of the tank, please do not over-tighten. 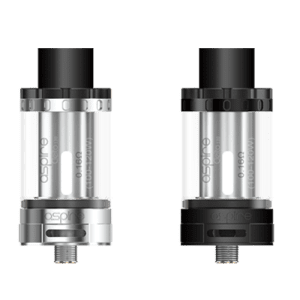 The updated CE5 BVC Clearomizer from Aspire gives excellent taste and vapour production; highly recommended. 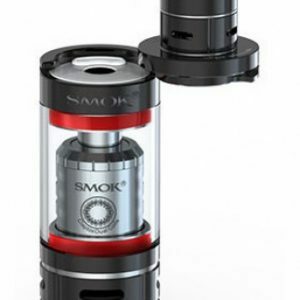 Now utilizes the new BVC multi-compatible coils from Aspire.